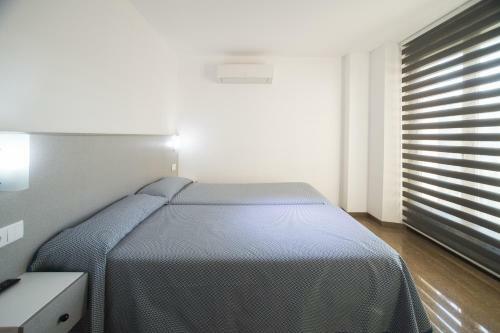 Located 300 metres from Las Ramblas, Hostal Drassanes offers free Wi-Fi, a 24-hour reception and bright, air-conditioned rooms with TVs and modern bathrooms. Port Vell Harbour is just 100 metres away. Each simple room has tiled floors and a safe, and free hairdryers are available from reception. Some rooms have views of La Mercè Church and the charming La Mercè Square. Hostal Drassanes is surrounded by the narrow streets and lively bars of the Gothic Quarter. Drassanes Metro Station is 400 metres away, while Maremàgnum Shopping Centre is a 10-minute walk away. This simple, air-conditioned room includes free Wi-Fi, a safe and a private bathroom. Free hairdryers are available from reception. Rate: € 40.85 ... € 50.00; select dates below to get current rates. Rate: € 68.25 ... € 80.00; select dates below to get current rates. This quadruple room has 4 single beds, air conditioning, free WiFi and a private bathroom. Free hairdryers are available from reception. Rate: € 72.75 ... € 85.00; select dates below to get current rates.